A development boom is making its way to parts of Arizona. 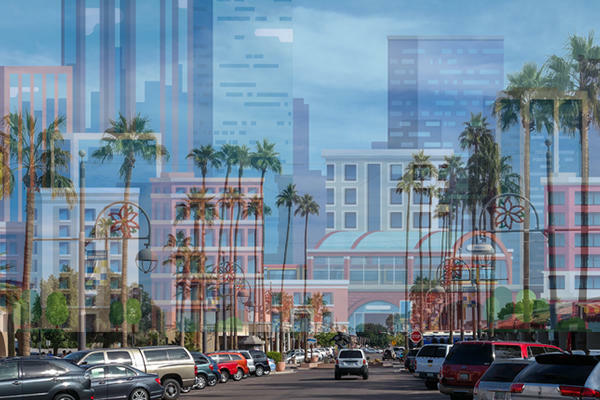 As more people flock to Scottsdale, developers are taking note and building tall multifamily towers that contrast with the area’s abundance of single-family homes, the Wall Street Journal reports. Since 2010, city officials in the affluent town have issued building permits for about 8,400 new residential units. Paradise Valley, an even wealthier town close by Scottsdale, is experiencing a similar construction boom. Many of the projects underway, such as the Ritz-Carlton Residences in Paradise Valley, are high-end. Condos at the three-story Ritz development range from around $1.5 million to $5.5 million and come with a host of luxury amenities. While some Arizona residents welcome the new developments, others fear it could change the charm of the frontier state. In Kierland, a high-rise condominium and hotel project proposed by DMB Circle Road Partners was recently shot down after dozens of locals protested the project.